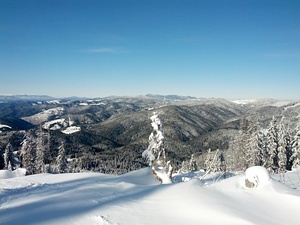 Pamporovo enjoys 120 sunny days in winter. 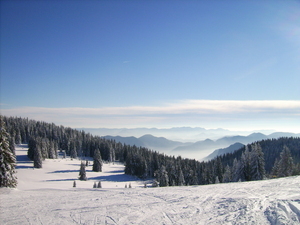 The ski zone is marvelous offering ski slopes with overall length of 37km suitable for all ages and abilities, but being mostly famous as an excellent choice for beginners and intermediates. 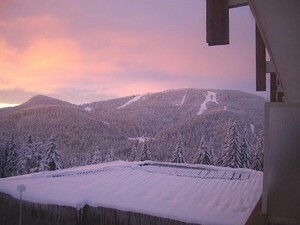 The resort boasts a new snowmaking system composed of 80 snow cannons covering 90% of the ski runs as well as a new 3740m long ski run serviced by unique 6-chair open lift. Queuing is rare due to a new up-to-date system of rope-ways, a product of the famous Austrian company "Axess" with capacity of 11,600 persons per hour. For the snowboarders there is a new 100m long half-pipe run, which together with the LED-lighted night run complement the ski magic. 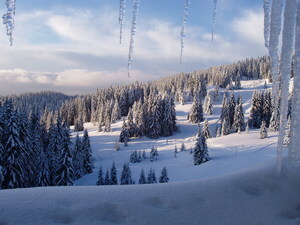 Pamporovo, one of the best resorts for beginners and intermediates. Stunning place with perfect snow conditions today: 4/1/18. 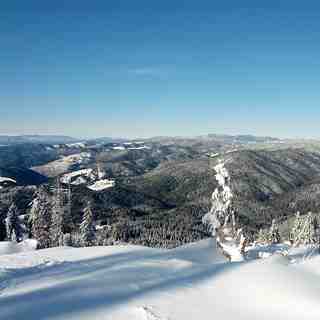 Most years there is good skiing at new year. Love it and would def recommend it. Especially as it is less than half the prices found in the Alps (who can’t ski at the mo because of too much snow in some places). Give it a try, you won’t regret it.